Although it is available only in one city and two more planned — Kansas City, MO with Provo, UT and Austin, TX coming soon — Google Fiber has generated huge headlines and, one suspects, fear and loathing at Time Warner, Comcast, Verizon and AT&T. Now, Google has announced it will be rolling out free wifi at 7,000 retail outlets across the entire US. Although oft slow, one of the nicer things about getting coffee at Starbucks is the free wifi. And, people have made good use of it over the years — websites, apps and even entire companies have been coded at a table, or parking lot, at Starbucks. 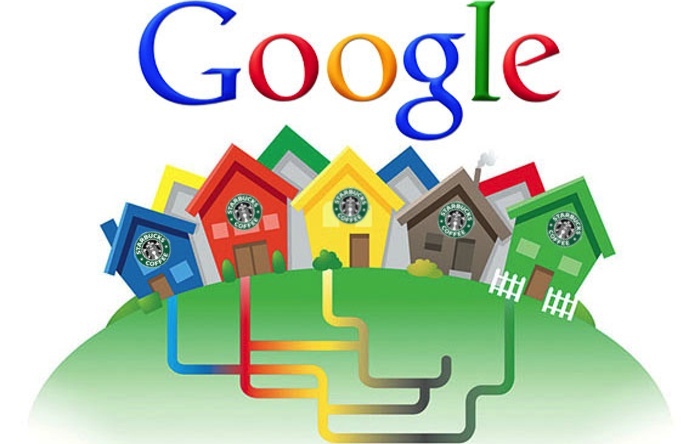 Starting August 1, the slow part will be going away, especially for those in a Google Fiber city. Google and Starbucks have announced that Google will be providing free wifi at the more than 7,000 Starbucks retails outlets across the US. You will know free Google Fiber Access has come to town when you see the Google Starbucks SSID at your Starbucks during login. Map of current Starbucks locations in the US. Assuming the current Starbucks/AT&T service consistently provides 50 to 60 KB/s now, that means Starbucks/Google speeds will be increasing to 500KB/s or more, which is pretty reasonable, especially for “free.” That’s a good thing™ and better service than many people currently pay for. For example, $30 or more per month for 3 to 5 Mbps DSL from Verizon, AT&T et al looks even more like the crap deal it is. Sound good to you? Looking forward to Google coming to town?